Google Analytics, a free service to help you get more in-depth information about the visitors on your site. With this information, you can start to build a more solid success strategy for your business. No matter what kind of business you run, it’s important to know as much about your audience as possible, which Google Analytics allows you to do. Here are some great reasons why you need Google Analytics if you haven’t made an account already. Your budget is important, which is why this service is so great — you don’t have to spend a cent on it. Having this much information at your fingertips completely for free is like a goldmine for your business strategy. Google Analytics reduces the amount of work you need to put in to get the insights you’re looking for. All you have to do is set up your account and copy a simple piece of code on your website. From there, Google will start collecting data and making reports all by itself, which can be accessed immediately at any time. Analytics can show you what people are viewing that encourages them to stay and click around your site, as well as pages that people immediately close or click away from. You can also see viewers’ “depth of visit,” or how many pages they click before leaving your site. Just like most other Google products, Analytics has a clear and easily usable interface. It works well on a desktop as well as on tablet and smartphone. You can link it to your Google Ads account, which allows these two great tools to work in tandem. Working together, you have access to actionable insights that lead to the success of your Ad campaigns. By finding out what people are searching for once they find your site, you can figure out which information needs to be more clear and more easily accessible to your audience. If you see many people searching for a specific piece of information, you may want to consider adding that to the most frequently visited pages. Get the information you want to see, or simply use one of the many reports Google Analytics creates for you. See all the information you’d like to see side-by-side to get the information you want to see. Analytics allows you access to information like age, gender, location, device, and interest of a page viewer. This can help to tell you who is most interested in your site and optimize it accordingly; do you have an older audience? What about one that views your page in another language? By understanding where people are being directed to your site from, you can decide how much effort to put into specific channels. This will help you decide where to place ads for your website or business. Good content is one of the best ways to reach out to your audience, and with the help of Analytics, you can see what content is being seen and shared the most. Use this to your advantage when creating more content as well as optimizing your top blog posts. The Goals tab allows you to track how your business is progressing. Goals can be anything from generating a lead to downloading an ebook. You can set the guidelines that dictate how your business grows when you set these goals and see results rolling in. 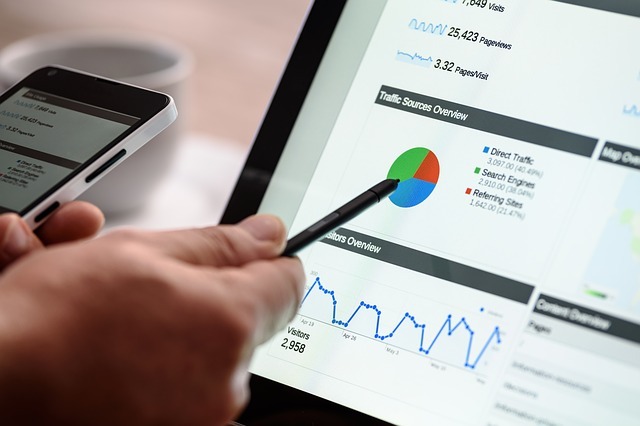 With so much valuable information in your hands, anyone can see why you need Google Analytics to help your online business efforts. Analytics makes getting insight so much easier– you’ll wonder how you ever ran a website without it! If you have questions about Analytics or anything else related to digital marketing, let us help!